As we know, there has been a dramatic increase in the prevalence of autism spectrum disorders (ASD) over the past decade. Yet, compared to estimates, identification rates have not kept pace in our schools. It is not unusual for children with milder forms of autism (e.g., Asperger syndrome, pervasive developmental disorder-NOS, high-functioning autistic disorder) to go undiagnosed (if at all) until well after entering school. Likewise, despite a marked increase in the percentage of children receiving special educational services under the Individual with Disabilities Education Improvement Act (IDEA, 2004) definition of autism, there are substantial numbers of children who have not been identified, especially more capable students on the spectrum. Our increased awareness of autism, together with the clear benefits of early intervention, have created an urgent need for school professionals to identify children who may have an autism spectrum condition. As a result, school psychologists are now more likely to be asked to participate in the screening and identification of children with ASD than at any other time in the past. School psychologists are especially well prepared to conduct behavioral screening of students who have risk factors and/or present with warning signs of a spectrum condition. They play a critical role in case finding and by contributing to diagnostic activities, conducting psychoeducational evaluations, and guiding educators and parents to empirically supported interventions. Therefore, it is critically important to remain current with the research and up to date on scientifically supported “best practice” approaches that have direct application to the educational setting. 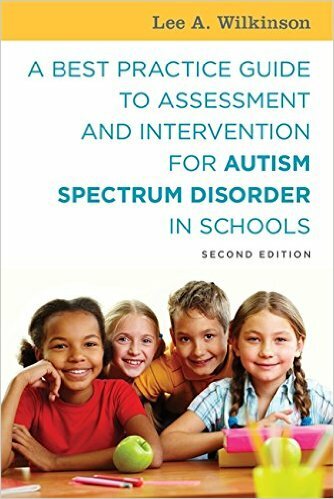 By being knowledgeable about assessment and intervention and treatment approaches, including their strengths and limitations, school psychologists can help to ensure that children with ASD are being identified and provided with the appropriate programs and services. Brock, S. E., Jimerson, S. R., & Hansen, R. L. (2006). 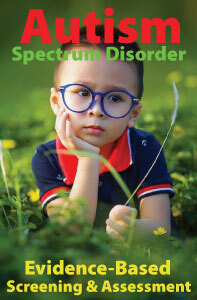 Identifying, assessing, and treating autism at school. New York: Springer.